The bond between a father and a son can be a special thing. This bond comes in all different forms and for Alec Rome, Omaha Central sophomore, it comes in a 4000 mile away form. This situation may make it difficult for Alec to be able to spend time with his dad in person, but don’t be fooled. This duo has always had a way with spending quality time together. Alec’s dad, Lance Rome, used to live in Valley, Nebraska about six years ago and he and Alec would do radio shows together. What they may not have known then was that father/son time was building a passion inside of Alec that he would hang onto for years to come. When a job with a printing company presented itself to Alec’s dad in Anchorage, Alaska, the distance between them grew great, but their bond grew greater. Alec started attending high school at Omaha Central. From the get-go, he has been no stranger to taking initiative for his school work, his career path and his future endeavors. He spends a good amount of time in the Omaha Public Schools Career Center getting a good grasp on the interests he has and the opportunities out there for him. That love of broadcasting was still consuming and, while at the Career Center looking into broadcasting opportunities, he was informed by his teacher, Ryan Hunter, that his own high school is using the Striv platform. This was music to Alec’s ears. With a foundational interest in sports and the ability to broadcast for his own school’s teams and events, he was sold. The first Striv event he covered: Omaha Central vs Omaha Burke in football, he remembers well. Before streaming events live with Striv, Alec had done some games in Tape Delay. He notes that with taped delayed games, you are able to edit things out so the commentary isn’t as intense to do. Live streamed games give ‘more experience than anything’. It is exciting to know that people around the world are watching and listening right now. As Alec continues to go from good to better to great in his abilities to broadcast events, he continues to get more recognition and invited to do more events. 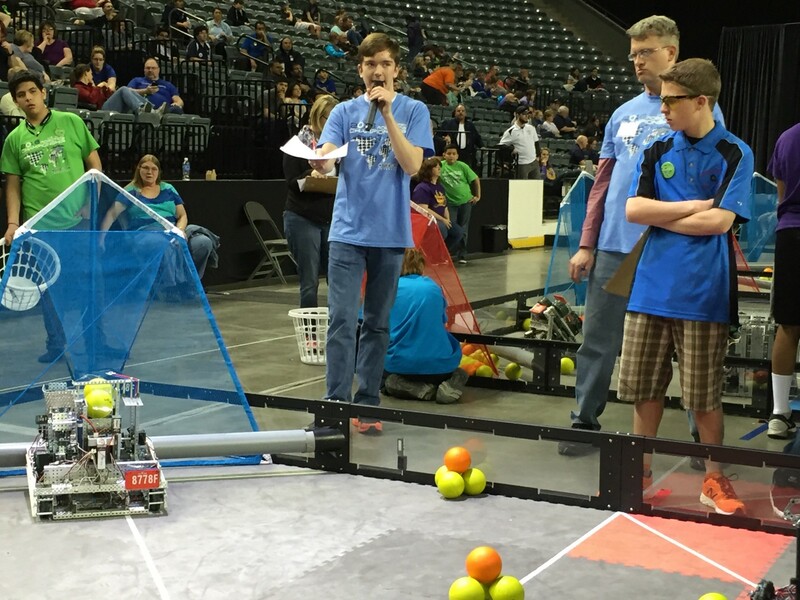 Most recently, Alec volunteered his time and abilities to be alongside his teacher, Ryan Hunter, and help with the US Open Robotics Competition held at the Mid-America Center in Council Bluffs, Iowa. While Alec continues to have fun in pursuing all that he can, he is building some really great connections. He says that, “the school [Omaha Central], the Career Center, the Foundation and the strong alumni network has allowed for such fantastic technology provided to the students and allowed for a partnership with Striv. He is excited about the prospects of recruits that may be and will be joining him in the broadcasting side of events at Omaha Central. Alec says, “It’s a whole crew that brings it together,” and he understands the importance of getting enthusiastic people on board. He has even had Central’s former principal, Dr. Keith Bigsby, along side him during broadcasts doing color commentary. The support the school provides to its students is a great thing to watch happen. Continuing to pursue, grow, learn and develop; Alec has no intention on slowing down. He will keep excelling…and his dad will keep being right there with him, in Alaska. Interested in learning more about how your school can share their story with Striv? Go here.